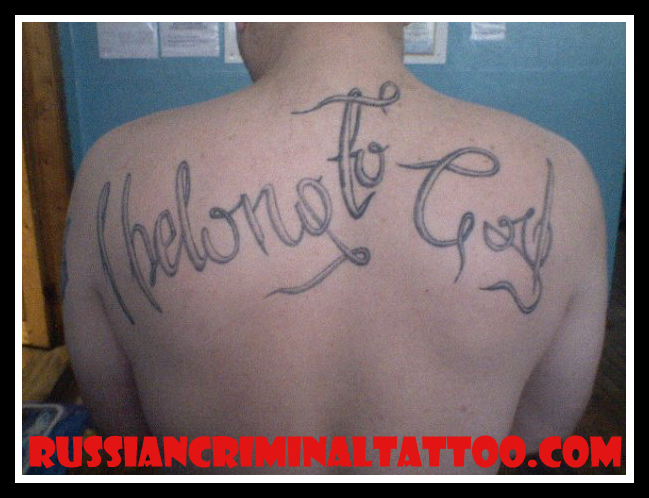 Russian,Criminal,Tattoo,GULAG,USSR,Prison,Russia,BMW,Criminal,Mafia,Vor V Zakone Blog about Russian Criminal Tattoo,Russian mafia, Russian Criminal Tattoo Photos,Meanings of tattoo,Vor v zakone,Stars,Criminal,Mafia,Eastern Promises Russian criminal tattoo: I think it's in english but what is this i don't know. What it mean? I think it's in english but what is this i don't know. What it mean? "4 But you belong to God, my dear children. You have already won a victory over those people, because the Spirit who lives in you is greater than the spirit who lives in the world. 5 Those people belong to this world, so they speak from the world’s viewpoint, and the world listens to them. 6 But we belong to God, and those who know God listen to us. If they do not belong to God, they do not listen to us. That is how we know if someone has the Spirit of truth or the spirit of deception." The phrase also appears in Job and Corinthians. It is a statement of devotion to God and a rejection of 'false prophets'. 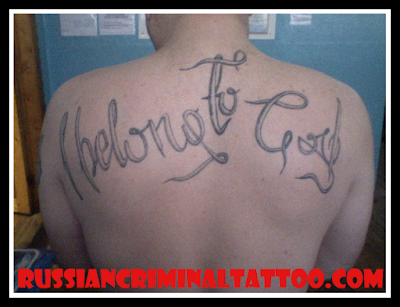 Please note, I am not a Christian - but I follow your site and very much appreciate the explanations of Russian tattoo art. Thank you! Thanx for comment. I didnt knew that.